Remember when Namewee got arrested last year for his Chinese New Year music video, “Like a Dog”? Well, apparently he did not learn his lesson because he has released yet another rather controversial Chinese New Year song and music video just days ago. This being the Year of the Pig, naturally the new video has a pig theme and is called “Piggy Piggy”. “This is my 1st kid's song so far... Wish every one HAPPY PIGGY YEAR!” the singer captioned his music video. Why kid’s song? 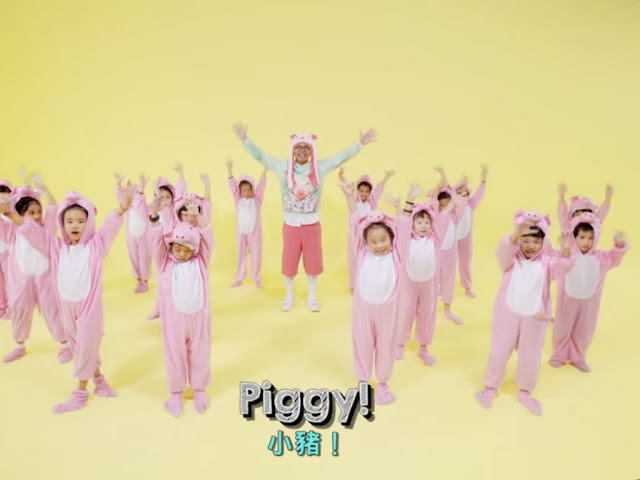 Because not only is it super adorable (so catchy and easy to sing) but it also features little tots from ODD Dance School – all dressed in cute piggy onesies! The video begins with Namewee counting down and making various animal sounds. Then when the song kicks in, he was basically musically listing down the animals of the Chinese Zodiac. And then - the hook hits. Pretty nonsensical at first listen. In fact a lot of the comments are people questioning what the heck a “Buta Babi” is. Well, Buta means pig in Japanese whereas Babi also means the same thing in the Malay language. The latter can be used as a rude and offensive word in Malaysia since the country’s largely Muslim community sees the animal as “unclean”. But having a bunch of cute kids shouting it out probably helps lessen the offensive touch since miraculously, the video has plenty of likes (standing at 10K at the time of writing) rather than dislikes (currently less than 700 counts) – unlike his previous CNY song. It has also been receiving good comments from Muslim viewers. Curious to see the “Piggy Piggy” music video?